Published in 2003, and written in English, this is the biography of one of the first followers of Fr Preca – and the one who was later to chosen to be the first Superior General of SDC. 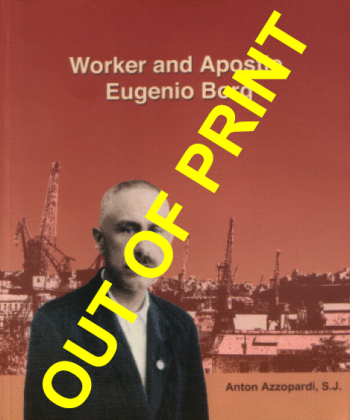 Written by Eugenio’s own nephew, this publication is an illustration of a faithful follower of Fr Preca and his spiritual journey as a layman, dockyard worker and SDC member. Sorry, this book is currently out of print. Download and print order form and send it to SDC, 38 Ryefield Road, Upper Norwood, London SE19 3QU, to receive this book.